Join your friends and colleagues for Happy Hour at the Yard House at the Banks on Wednesday, December 12 from 5:00 - 7:00 p.m. Appetizers provided. Cash/credit cards accepted at the bar. 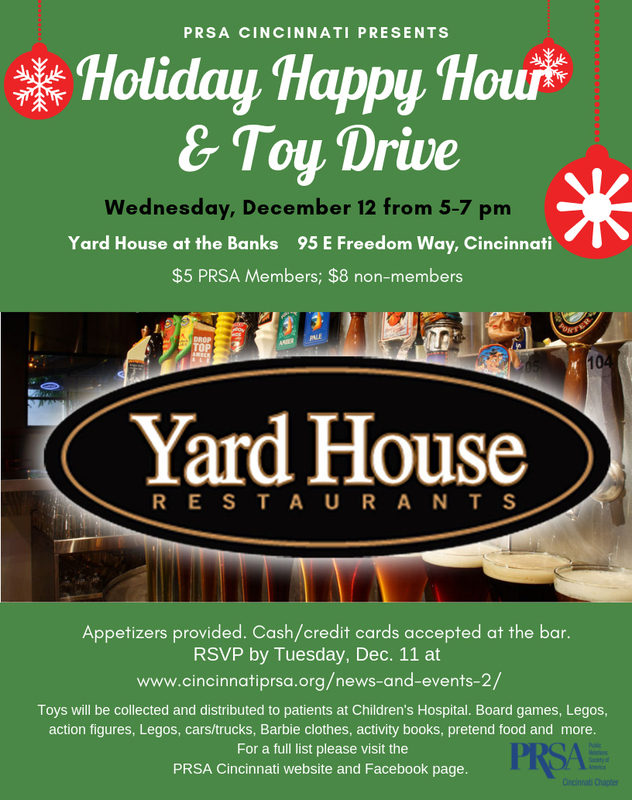 PRSA Cincinnati Chaper will also be doing a collection of toys at this event to donate to Cincinnati Children’s Hospital. For a list of toy ideas, click here. Can’t make it but want to donate toys? Contact Shara Clark, APR.